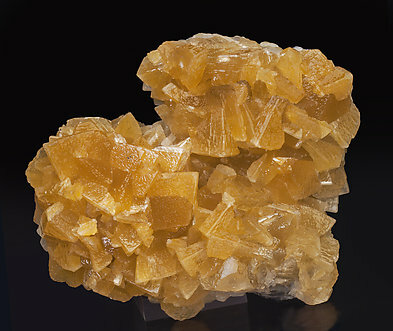 The Cadmium-rich Smithsonite variety is an uncommon find at Tsumeb so it is a pleasure to be able to photograph this druse of rhombohedral crystals with very well defined faces and edges and displaying a delicate orange color, due to the presence of Cadmium. 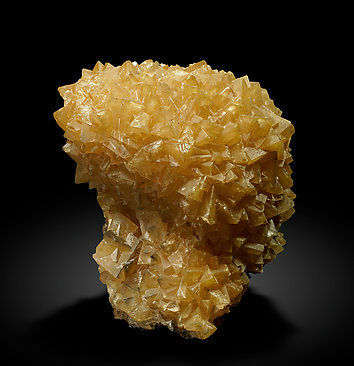 Cadmium-rich Smithsonite, displaying very well with its hook appearance and its delicate orange color, due to the presence of Cadmium. An uncommon find in Tsumeb. 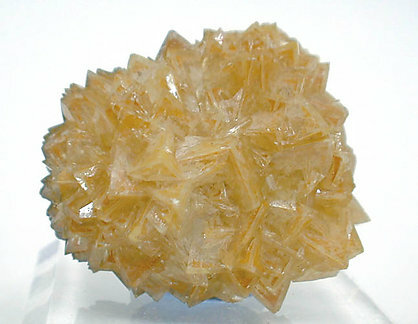 Aggregate of acute rhombohedral crystals with very well defined faces and edges, and with neat and very well marked geometrical zoning. 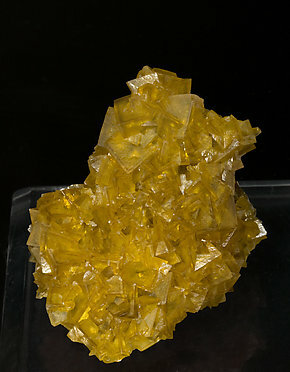 They are a very bright and with very intense yellow color that corresponds to the cadmian variety of this species.